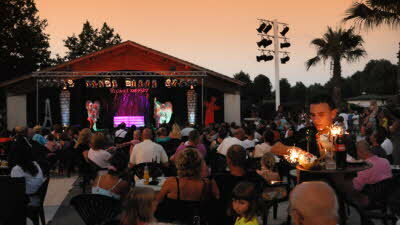 This large, resort-style site is just a stones throw away from the sandy Valras-Plage and ideal for families. 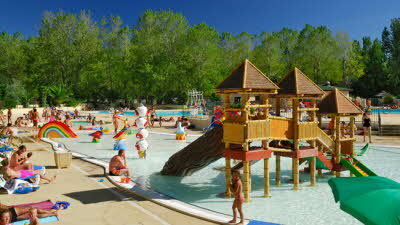 There's a wide range of facilities including a water park with slides and a splash pool, and rope adventure park. 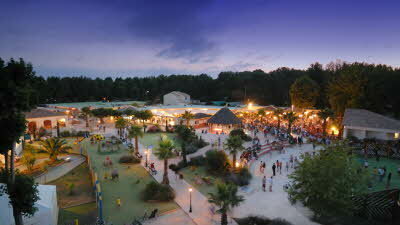 An extensive shopping and entertainment area provides everything you might need. English is spoken at reception, and pitches are level and offer some shade from the hot sun. 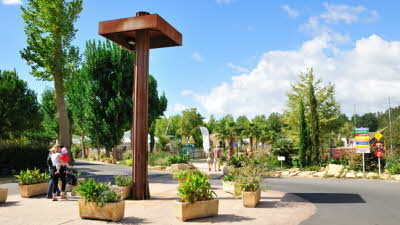 The site also owns a small farm, vineyard and winery, where you can enjoy tours and tastings. The beach is within walking distance, and offers a range of activities from swimming and jet skiing to paragliding. Between Narbonne and Béziers, the site is also well-placed for a day trip to both towns, which offer a flavour of the region’s culture and history. Béziers, Vendres, Sérignan, Roquebrun, Narbonne, Carcassonne, Montpellier, Fishing, Forest adventure park, Animal park Sigean. From the A9/E15 take exit 36 (SP Valras-plage/Vendres) At the roundabout take the D64 towards Valras-Plage. Continue on the D64 for 5 miles / 8 km (going over 3 roundabouts) at 4th roundabout take the 1st exit signed D64E1 – Valras-Plage (Ouest) at next roundabout take 3rd exit signed D37E10 Valras-Plage (Ouest). Site entrance will be on right in 100m. I stayed here for 5 nights at the end of June/beginning of July but would have happily left earlier if I hadn't already paid upfront via the Caravan Club. There was nothing wrong with the site particularly just a huge site. I had picked it for the location and being out of season rather than the size. I didn't use the swimming pools at all as they were too crowded and noisy but the beach was lovely if you take a parasol for shade. Thank you for taking the time to leave a review of Domaine de la Yole. We are sorry to hear that you did not enjoy this campsite. We understand it can be difficult to choose a campsite that will suit, so we in the Continental Sites team are always happy to help members when making a booking, we have between us been to all of our campsites so can talk about them in a bit more detail! Please feel free to give us a call when you are planning your next holiday! Thank you for your feedback. We are sorry to hear that you’ve been disturbed by the noise. We are a huge family-friendly campsite, and our customers mostly choose us, because of our huge water park with its numerous game facilities for babies and children. Therefore, this could prove too noisy for someone wishing to rest. We nevertheless thank you for pointing this issue out to us, and we will keep the idea of creating a quieter place in mind. By the way, May, June and September are rare and lovely months to come and enjoy a restful stay. 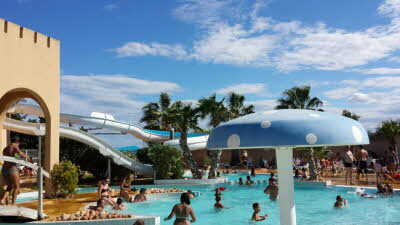 We hope you enjoyed our other facilities and we would be happy to welcome you again at Camping La Yole! Second time here Came again mostly due to excellent package from caravan club. Travelled with another couple both in 8m twin axle caravans. Site provided huge pitches so access was easy. Room on pitch for caravan, awning, car, patio table and still plenty. Good mix of sun and shade. Facilities were excellent throughout from toilets to entertainment. Had a super stay Lots of sightseeing around the area if you like it. Beach quiet and only 500m away. Great site for families with young children. Would I go again? Probably yes and take the grandkids. Only negative side MOSQUITO HELL. I had over 400 bites!!!!!!. Can't blame site for that Very quiet in June so if you want some life go July or August Great wine cave on site. Good red wine €1.45 a litre. Yum. Also great bakery. We were delighted to see that you enjoyed your holiday at La Yole, and thought we would pass your lovely comments on to them. Please see their response below. Thank you for your feedback. We are happy to hear that you have had a good stay at our campsite. We’re very committed to customer satisfaction. 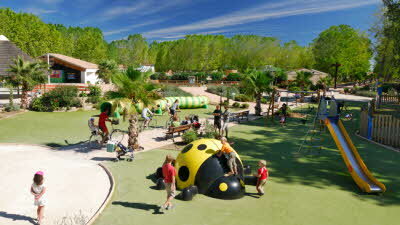 We do our best to make sure our guests enjoy their stay at Camping La Yole! Don’t hesitate to come back with your grand children : our water park and its water slides, our adventure park, our farm and all the other facilities to be found on-site will make their holiday unforgettable! We will be happy to welcome you and your family again! Originally I wrote a review of approx 2000 characters, only to find that I took longer than 30 minutes and lost it due to auto logoff! Having lost the will to live, I offer this potted version instead: Booked through the club for 9 nights in early September 2015, tolerated only 8 nights, only because we had prepaid. Is it me? We arrived at dusk, was given the oddest shaped, one and only sloping pitch on a busy corner of statics, which we refused and were told to select our own, a regular shaped, flat, fenced service pitch with no objections from the lovely management. This is not the first time that we have been offered an inferior pitch when booked through the club, and it is something the club should monitor. A tour of the site in the morning found the ‘regular’ touring pitches half empty. Bad start there then. Next, when setting up (lost about one hour sorting pitches)we were bitten to death by the local mosquito population – never seen so many in my touring life! Had to rigidly monitor opening and closing of door and flyscreens, and sitting out in the awning was intolerable, day and night, even with the usual deterrents. We put this down to no ground management. I would say that the pitches had not been strimmed, bushes clipped etc. etc. since before opening. The empty touring pitches looked like scrub land and around the statics were knee high weeds, and all manner of neglected detrious, belonging to the statics. We stuck rigidly to the roads when using the toilet block, not crossing empty pitches, or using paths, to keep down the insect attacks. Good security – sorted out an incident involving a couple of French boys throwing stones at cars and empty statics very effectively, once reported. Not sure why we paid nearly 5 Euros a night for the dog (bit of a ripoff there!). Toilet Blocks, Bar, Restaurant, Shop, Pools etc. all to a good standard – toilets, but no changing facilities in the latter. 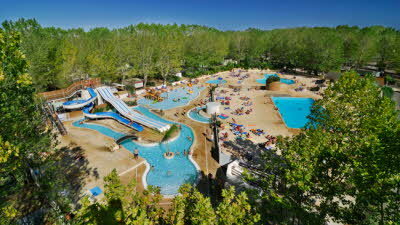 Situation ok for beach/sightseeing and cycling to Valras-Plage and many amenities on site for kids/teens, hence the 5*. Due to the mozzies, only 2*from us. Not a very pleasant experience at all and we won’t be going back anytime soon. 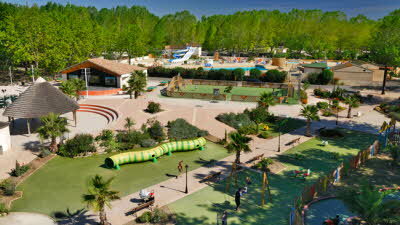 Thank you for taking the time to leave a review of Le Domaine de la Yole on the Caravan Club website. We are glad to hear that you found the site to be in a good location for the beach and sightseeing and well equipped for children and teenagers. We have contacted the site regarding the issues you have raised and have received the following response. We confirm receipt of your comment and would first of all like to thank you for raising our awareness on those issues. We are happy to read that our reception team successfully managed to solve your initial problem, and that you also appreciated our numerous facilities and service, including our security team’s professionalism. As far as mosquitoes are concerned, a huge mosquito attack due to various factors has prevented local regional pest control from spraying anti-mosquito pesticides. Therefore, the mosquito issue was not due to neglected ground management, but to environmental and governmental factors that were entirely out of our control. Our pitches do get trimmed and our bushes clipped during the season by our professional gardening team, even if it can prove delicate to do so while customers are occupying the pitches. We would like to impress that pitches provided by our Tour Operators are not inferior to other pitches. Each pitch does indeed have its own size and shape to better suit the whole variety of outfits that we welcome (caravan, motorhome, tents…) on our site. When possible in terms of availability, we always offer all our customers - regardless if they are direct customers or not - the possibility to choose a pitch according to their needs and preferences. We nevertheless appreciate your contribution and are sorry to hear that you haven’t enjoyed your stay and do not intend to come back to our campsite anytime soon. We’re very committed to customer satisfaction and all your comments will be taken into account to help us improve our service. This site is great for families. There is so much to do. Unfortunately the beach is too far to walk if your are not so mobile, but only a short drive away are lovely beaches with excellent bar/cafe, also restaurants in Valras plage food excellent. Piches are mixed between tents and mobile homes but are large.